Cajun cuisine is from Louisiana; it is rustic by nature. 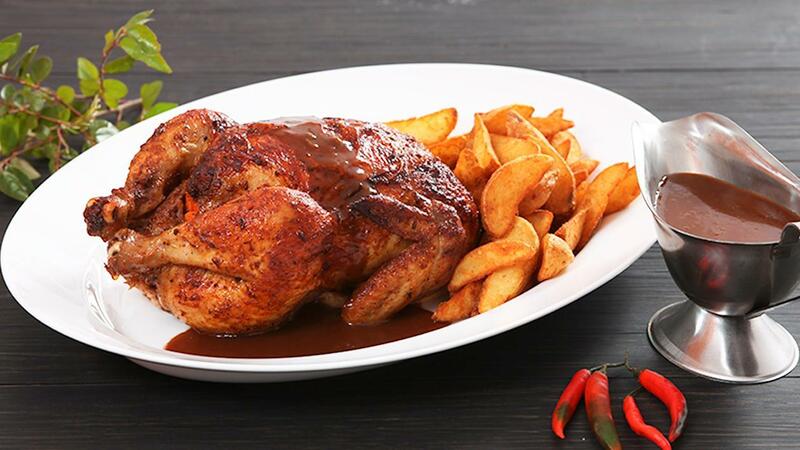 Our version of Cajun Asian spiced roast chicken melds the American flavours with Asian spices. Serve this succulent roast on your menu today! See the full recipe blow. Preheat oven to 200°C and lightly grease a large roasting pan and place few mirepoix on it. Rinse chickens under cold running water; Pat dry with paper towel; trim excess fat. Mix Cajun Asian seasoning mix with oil and leave it on a side. Thoroughly Rub the chicken in and out with the seasoning mix and massage it well. Fill the chicken cavity with curry leaves and lemongrass and tie legs together with kitchen string. Place both chickens in pan and brush with extra Seasoning. Roast for 1 hour 20 minutes or until cooked through. Remove chickens from oven; transfer to a warm plate and strain the remaining roast gravy and serve separately with fried wedges.